When an initiative aiming to reduce plastic pollution in our oceans is called into life by one of the world’s most influential design curators, it’s bound to make waves. Launched at the 2018 edition of the Salone del Mobile in Milan, the Make Plastic Guiltless movement was born out of gallerist Rossana Orlandi’s ambition to encourage the use of recycled plastic among designers and, with it, fight the harmful effects of plastic waste on the environment. 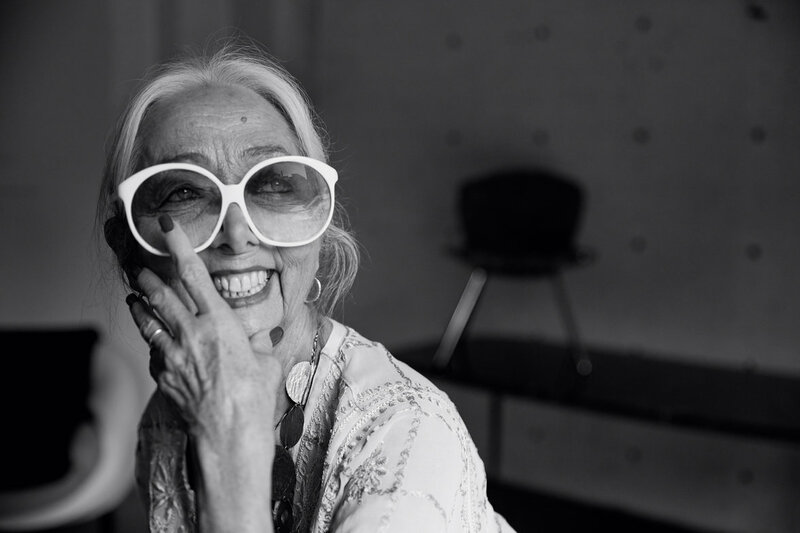 Safeguarding our planet, for Orlandi, meant hosting a series of Salone talks at her celebrated gallery – Spazio Rossana Orlandi on Via Matteo Bandello – to raise awareness of the versatility of recycled plastic as a material for quality design pieces. Among the speakers were the Dutch designer Dirk Vander Kooij, who creates sustainable furniture from discarded plastic, and Madrid-based Alvaro Catalán de Ocon, who is best known for his lampshades combining PET plastic bottles and traditional weaving techniques. During the events, Catalán de Ocon’s PET lamps dangled from the gallery ceilings, casting light onto Pentatonic flat-pack furniture made from recycled materials on a larger production scale, as a total of more than 30,000 visitors attended the space. The Make Plastic Guiltless initiative has now carried on well beyond Milan’s furniture fair, with regular art exhibitions, film screenings and designer showcases held at Orlandi’s gallery. Orlandi has a history in forecasting international design trends and bringing up-and-coming talents to the spotlight by exhibiting their work at her sprawling showroom housed in a former tie factory. Since opening in 2002, Spazio Rossana Orlandi has become a pilgrimage site for design journalists and collectors, having previously showcased creations by household names such as Piet Hein Eek, Jaime Hayon, Maarten Baas, Nacho Carbonell and Formafantasma before they gained worldwide recognition. 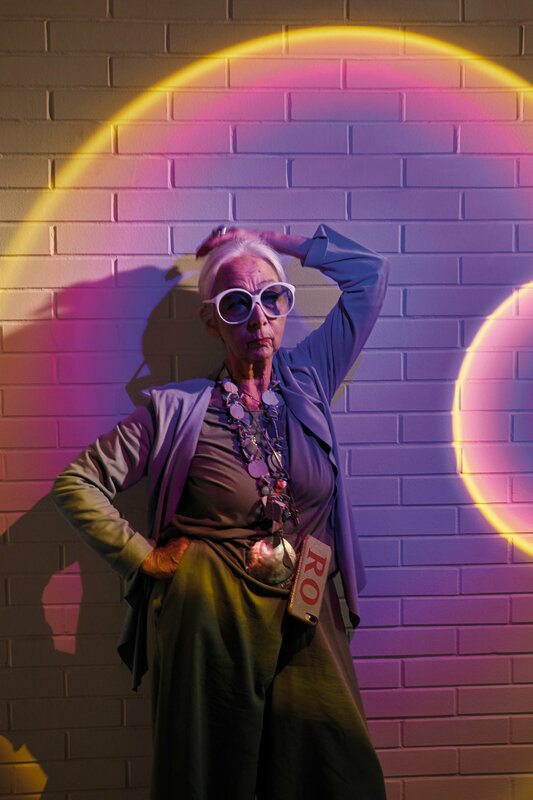 Now in her mid-70s, Orlandi, whose background is in fashion, has become emblematic within the design world, known for her ever-present white sunglasses, playful sense of style and energetic spirit. Now that energy is being directed towards plastic, with the Make Plastic Guiltless initiative aimed at changing the perception of this once loathed waste material. “I want to make plastic guiltless by ensuring that it is used responsibly,” says Orlandi. “If recycled and transformed correctly, we can give new life to old plastic and make beautiful pieces out of this material that is commonly thought of as evil.” Another long-term goal of the project is to make those who throw plastic into the sea aware of the consequences of their actions by creating a “senso di colpa” (feeling of guilt). During Milano Design Film Festival, Orlandi hosted a screening of a film by American photo artist Chris Jordan, which shows tens of thousands of dead albatross chicks, their bodies filled with plastic. Just like the Salone talks organised by Orlandi, Jordan’s film underlines the importance of responsible consumerism and improving the circularity of plastics – making the world realise that recycled plastic can make a significant contribution to a sustainable economy and play a vital role in marking the departure from today’s throwaway culture. Alexander Lotersztain is another industrial designer who participated in the Make Plastic Guiltless initiative and has been showcased at Orlandi’s gallery. His QTZ range of colourfully speckled, sculptural lounge chairs is entirely made from melted LDPE, a thermoplastic that can be remelted an infinite amount of times without altering it. “Designers who are part of the plastic renaissance are showing that plastic can have multiple lives, which is why it’s so powerful in bringing much-needed relief to the impact on the ecosystem,” says Orlandi. Advanced recycling technologies have transformed plastic into a highly durable material, making the creations suitable for all kinds of settings, climates and conditions. As each one of Orlandi’s handpicked pieces underline, the plastic renaissance unfolds in a kaleidoscope of colours, patterns and textures that many other materials would struggle to reproduce. With a growing number of creators looking to take a more responsible approach to their craft, the world is starting to wake up to the fact that working with recycled plastic offers all the design opportunities necessary to produce good-looking, long-lasting and, most importantly, sustainable pieces. Recycled plastic was appointed material of the year at the 2018 London Design Festival, while the festival’s PlasticScene exhibition highlighted the work of independent designers in examining the potentials of the material. From plastic’s history as an industrial material par excellence, the potential to recycle it is now generating a groundswell of practitioners exploring its properties for themselves. Meanwhile, Orlandi is continuing to champion its use by launching the Make Plastic Guiltless design award, which will go to a young design talent incorporating recycled plastic in the most original way. Design has a lot to do with the original problem around the mismanagement of resources like plastic,” says Orlandi. “The design community needs to work together to become part of the solution.